This one-day workshop, located at the amazing Garden Classroom or at your school site, is designed to give you the opportunity to see the garden through the eyes of a young child. 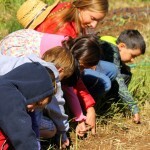 Learn to set up a garden space that will encourage children to explore, ask questions, and connect to the natural world around them. Learn activities to engage children’s curiosity and enthusiasm while introducing them to fundamental ideas in environmental science. 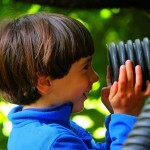 Spend a day looking at the garden through the eyes of a young child. Using Life Lab’s Sowing the Seeds of Wonder activity guide for preschool and kindergarten, participants in this workshop will explore leadership techniques and physical garden design elements that cultivate in young children a sense of peace, caring, curiosity, and joy. 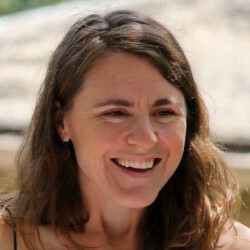 This workshop is ideal for new educators as well as seasoned educators ready for a fresh perspective on guiding positive behavior as well as designing an environment that is ripe for learning, connection, and growth. This workshop can be taken on its own, or in conjunction with Sowing the Seeds of Wonder, Part 2. Graduate education units available. 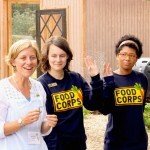 Discover how you can use a garden to cultivate young children's love of learning, healthy food, and nature. 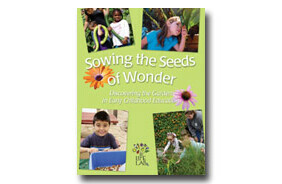 Using Life Lab’s Sowing the Seeds of Wonder activity guide for preschool and kindergarten, participants in this workshop will sample activities designed to encourage young children to safely explore the natural world using all of their senses. We will practice basic gardening and cooking skills together, with a focus on how to grow and prepare food with young children. 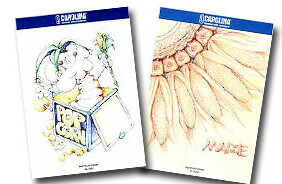 We will also learn garden art projects and songs for preschoolers. This workshop can be taken on its own, or in conjunction with Sowing the Seeds of Wonder, Part 1. 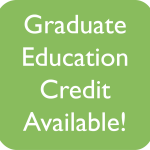 Graduate education units available. 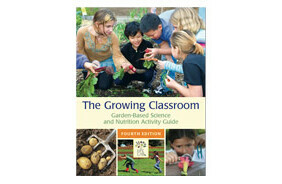 Anyone interested or involved in garden-based learning with children ages 3-6. 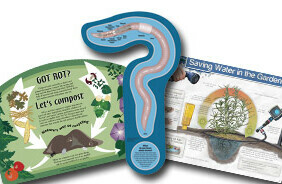 Lessons that introduce young children to the properties of soil, seeds, plants, and animals. 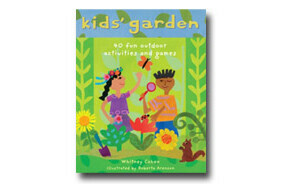 Songs and books that connect to garden lessons. Hear some of our songs. 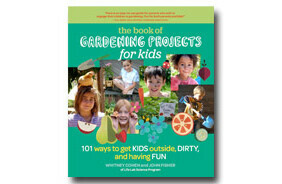 Gardening design elements and techniques that are specifically effective for young children. 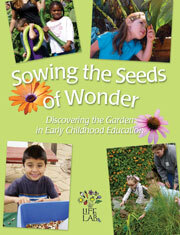 Sowing the Seeds of Wonder, a 120-page activity guide for children ages 3-6. Great hands-on activities; great balance of listening and doing; delicious foods; amazing garden space; a wealth of written resources! I got inspiration and reinforcement of our garden and nature activities, and new ideas to expand the garden environment. The program was more than I expected. I valued the integrity of the program and its long history. A wonderful day, and I will use what I learned in my class for years to come. I valued the great ideas from presenters and the interaction with experienced early childhood education teachers. I spent a lovely day in a lovely garden and met lovely people. 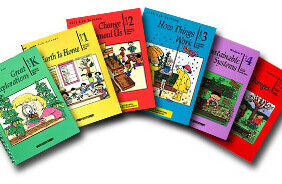 I loved it all. Thanks! To set up a workshop for your school site, please call Life Lab at (831) 459-2001 or email us at admin@lifelab.org.